I am so sorry for this journey you are walking. It just isn't fair. I will pray for your comfort and I will send huge prayers to God for you to have a healthy/alive baby that will be in your life forever. Thinking of you today and wishing you peace. It's amazing how so much can change in an instant. thinking of you often.. i am only 1 month into my grief without my little girl. two years... seems like an eternity. i dont know how to feel happy again.. i think of your picture from your last blog and how you are smiling, but not a big smile. i used to smile big.. but now all i feel is vulnerable. i hope from the bottom of my broken heart that this third time is your charm.. and your new baby reminds you there is joy in life.. even though your first two will always, always be missing from the table. happy birthday, sweet beautiful emma. Here from LFCA. Your words touched my heart. Yesterday only marked the eight week birthday of my stillborn little baby girl, but I was talking with a friend who had experienced a similar loss about how grief for these little lives is forever. You're an amazing example of how you have learned to carry your children with you to celebrate their lives. Thinking of you today and all the emotions that you must be feeling. Two years feels like forever when you're grieving. Thinking of you and Emma! Remembering beautiful Emma with you. I understand the inability to buy and decorate. 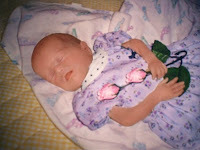 But I wish, with all my heart, that you will get to do all of these things when your daughter arrives, safe and sound. I know that I don't have the right words, except to say that I'm so sorry for all you've been through. You will be in my thoughts and prayers. I hope that, as you said, the third time's the charm. But, today, I'm grateful to "sit" with you and hear Emma's story. Thank you for telling it! how sorry i am that you have had these sad experiances in your life. i pray that you will have a healthy baby this time around. God bless you through this pregnancy! I just found your blog and can hardly type through the tears. God bless you for sharing your story with all of us. And your baby girl will make it home safely; I just know she will. I actually just found your blog and wanted to let you know how brave I think you are and how I will pray for you and your rainbow baby. As a fellow dbm, I can sympathize with you on the nerves that go along with being pregnant with a rainbow baby. 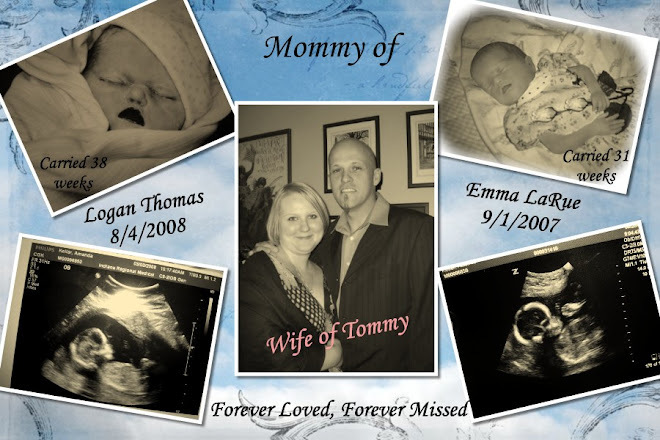 We lost our daughter, Lily, on 8/3/08 and are currently 24w1d pregnant with her little brother, Cooper. I'm at the hospital for the duration of the pregnancy due to my history of uterine rupture.